Audio Technica ATH-WS99 review | What Hi-Fi? 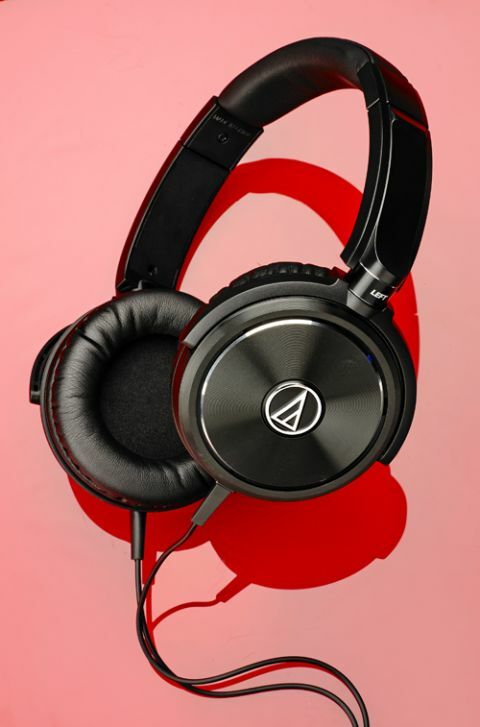 Audio Technica has a good reputation when it comes to producing affordable headphones. Move up the scale to high-end cans, though, and it can’t always translate that performance-per-pound experience. These ATH-WS99s are functional at best. We have no qualms about their build or comfort. The sturdy and flexible headband grips securely, while the large, round cups fit snugly around our ears. They feel durable, too. Next to more stylish rivals, however, these Audio Technicas look pretty ordinary. The finish lacks the premium feel we’d expect for £250, and they could be more compact. A little more attention to detail would’ve been welcome, too. The 3.5mm cable’s in-line volume slider, for instance, is bulky and unappealing, and volume changes are too abrupt – not ideal when used with smartphones. That sense of ordinariness comes across in the way the Audio Technicas sound, too. There’s a fair dose of detail and clarity, but without the engagement this price demands. A shortage of subtlety and precision means edges of notes sound wispy and soft, and there’s not enough dynamic excitement on offer. Adele’s usually emotional vocals sound somewhat lacklustre on Someone Like You, and the top end could do with a little more sparkle. Overall, the ATH-WS99s are inoffensive, yet they’re largely content with just doing the job. For £250, we think they need to offer a little more if they’re to stand out from the crowd.